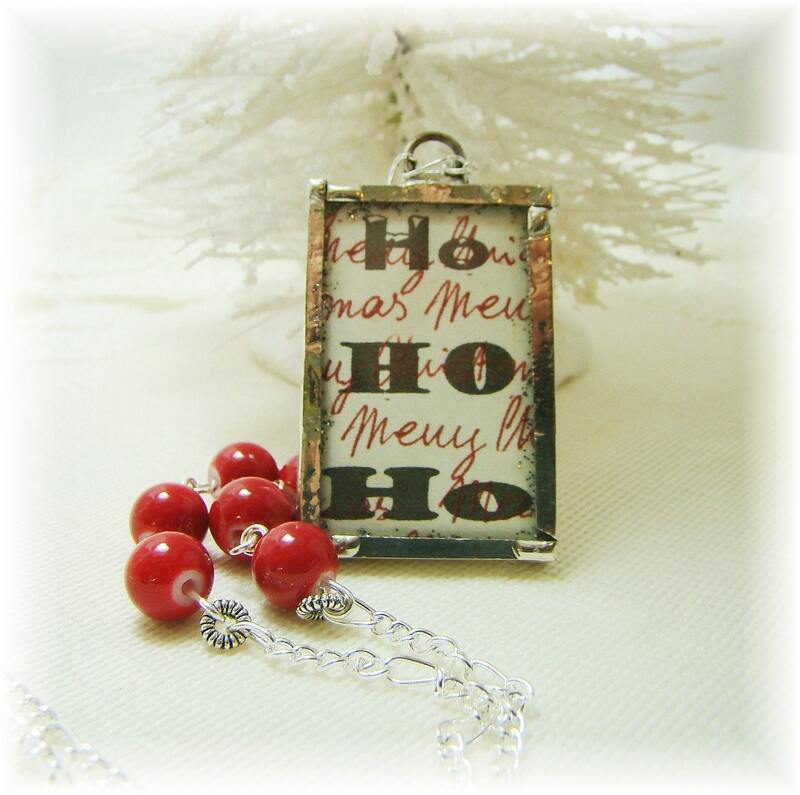 Adorable soldered glass pendant Christmas Necklace. Two sided pendant, it’s like getting two necklaces for the price of one! One side features a vintage Santa Claus image from the 1950’s accented with crystal snow glitter, with the other side a bold Ho Ho Ho set on Merry Christmas paper! 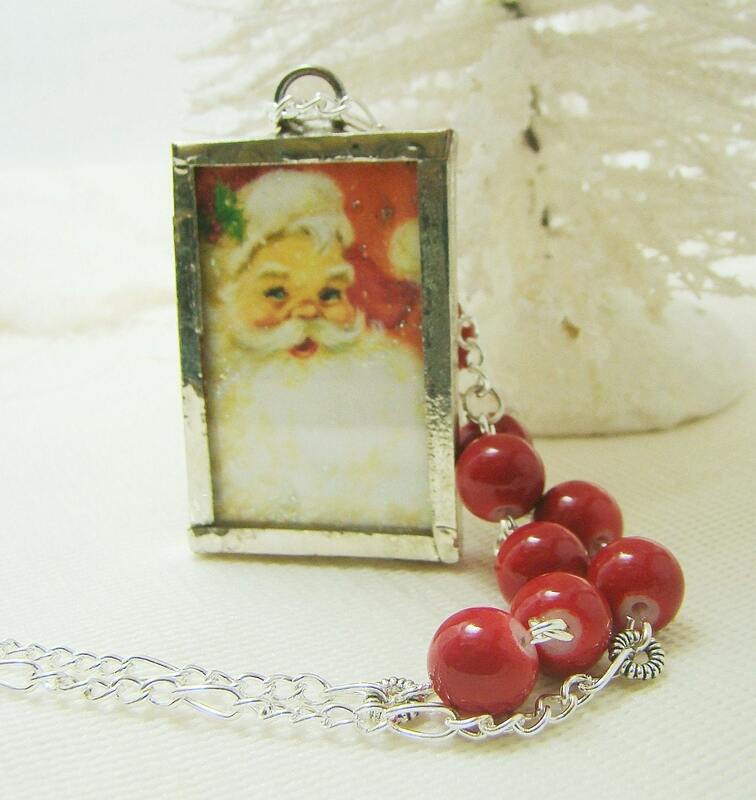 The necklace portion was created with vintage candy cane red milk glass beads, 8mm, and silver plate chain. This adorable necklace measures 20” in length, with the soldered glass pendant measuring 1 ½” x 1”. 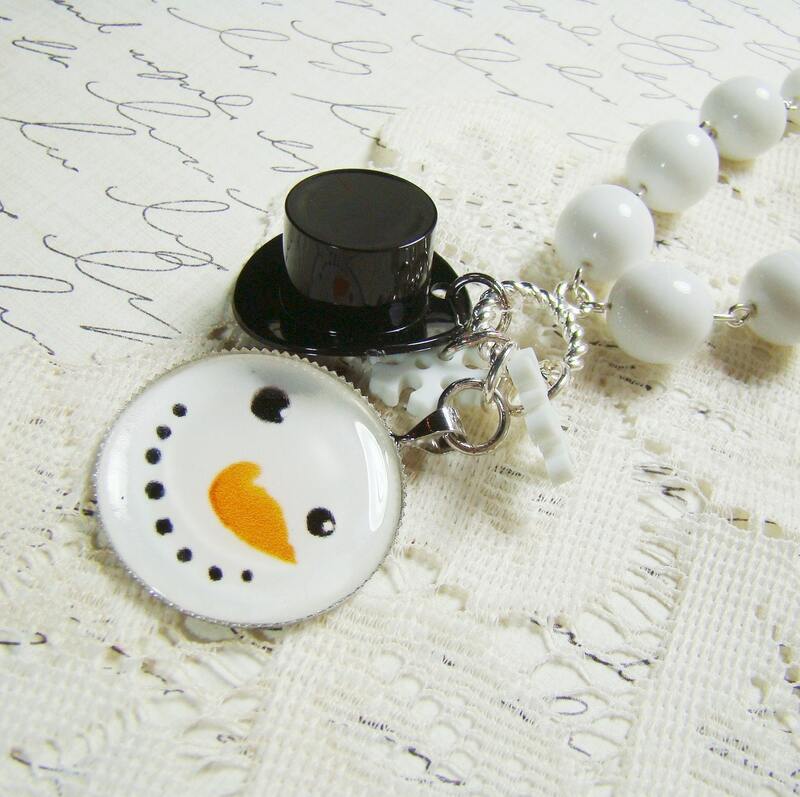 * FREE Shipping * Handcrafted Retro Christmas themed round resin Snowman Pendant Necklace with large white milk glass beads, little black top hat and snowflake charms! I created the pendant using a round 1” silver plate setting sealed with jewelry grade resin, which is adorned with a black top hat charm and two white snowflake charms. These are set on a necklace of milk glass beads from large graduating to smaller beads, attached to a silver plate chain. Necklace measures 18”. SO…. Shabby Chic, this adorable vintage creamware Santa mug or cup, with lovely aged crackled finish with dark and brownish patches of patina, which makes the little mug even more interesing. 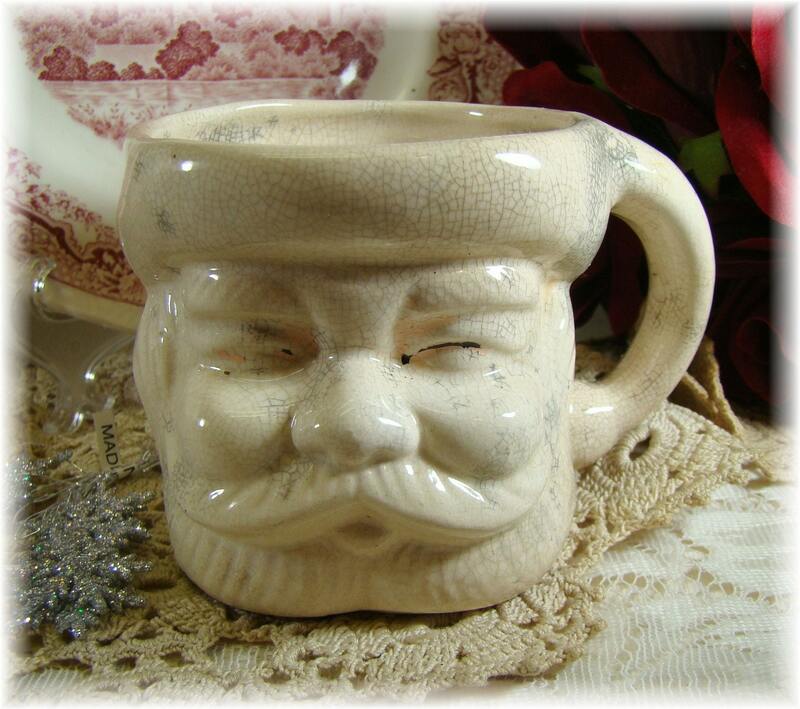 This caught my eye at an estate sale , I’ve never seen a Santa mug with a cream ware crackle finish before! It appears to have one been painted because a little bit remains on his eyes, and was probably manufactured in Japan in the 1950’s, but there is no makers mark. There are no chips or cracks.